Executable models have the potential of bringing major benefits to the development of complex systems, as they provide abstractions of complex system behaviors and enable early analyses of that behavior. Despite the potential benefits of executable models, there are still many challenges to solve, such as the lack of maturity in the definition of and tooling for executable modeling languages, and the limited experience with executable modeling in much of the software and systems development industry. 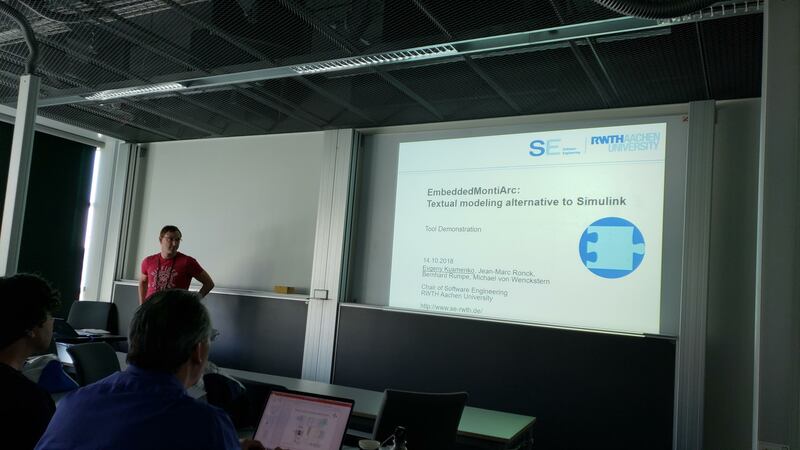 The objective of the Fourth International Workshop on Executable Modeling (EXE 2018) is to draw attention to the potentials and challenges of executable modeling and advance the state-of-the-art in executable modeling. 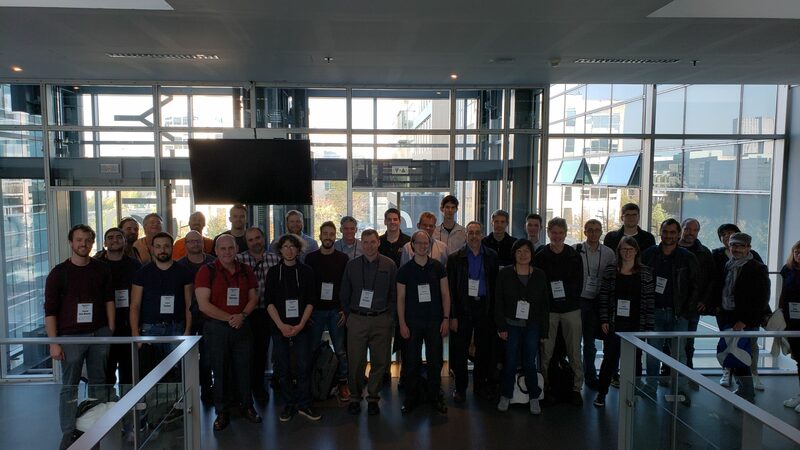 It aims at bringing together researchers working towards overcoming challenges in executable modeling, as well as practitioners from different application domains and application contexts of executable modeling. The workshop intends to provide a forum for exchanging recent results, ideas, opinions, requirements, and experiences in executable modeling. Presentation time for research papers is 15-20 minutes plus 5-10 minutes for discussion. Presentation time for tool demonstration papers is 15 minutes plus 5 minutes for discussion. What is your vision for the future of executable modeling? Demonstration time is 10 minutes plus 2 minutes for discussion. 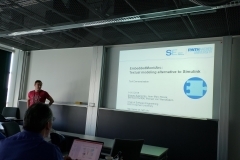 In this talk I will review some of the current initiatives regarding executable modeling, including their objectives and current actual facilities. 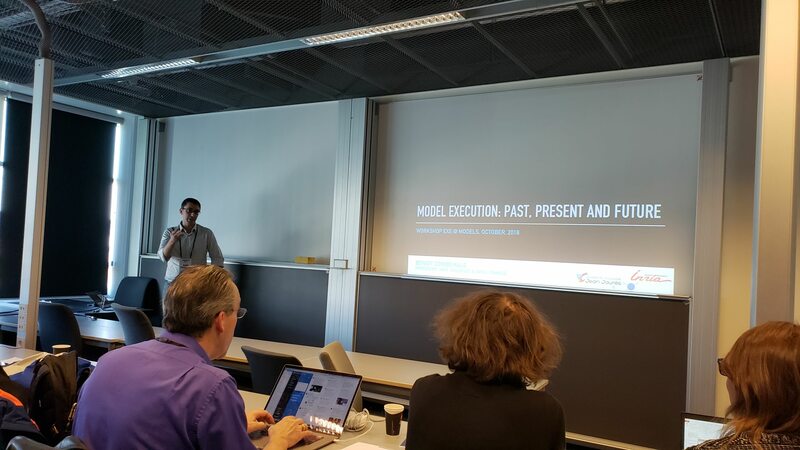 After this brief review of the state of the art and practice, I will jump into important challenges the community is currently facing to scale up the adoption of executable modeling, and to draw up a future where it meets its initial expectations. For this, I will argue that modeling is more a human endeavor than a technical one, though most of the current approaches focus on technical facilities. I will then discuss required facilities to support engineers in design thinking, and why this is currently challenging in the context of executable modeling. I conclude the talk providing a possible research roadmap for the community to address such challenges. Since September 2017, Benoit is Full Professor of Software Engineering in the Department of Mathematics and Computer Science of the University of Toulouse – Jean Jaurès (UT2J), France. He is evolving within the research team SM@RT of the Research Institute in Computer Science of Toulouse (IRIT). Before joining University of Toulouse, he was an Associate Professor at University of Rennes 1 (2009-2017), evolving within the research team DiverSE (formerly Triskell), joint to the IRISA and Inria labs, and teaching in the engineering school ESIR. Benoit is interested in software engineering, including model driven software engineering (MDE), software language engineering (SLE) and software validation & verification (V&V); mostly in the context of (smart) cyber-physical systems and Internet of things. He is a founding member of the GEMOC initiative, an international effort to develop techniques, frameworks, and environments to facilitate the creation, integration, and automated processing of heterogeneous modeling languages. Benoit co-authored 3 books, and 100+ journal and conference publications in the fields of MDE, SLE and V&V. He also edited 2 books and various special issues in scientific journals. He is a member of the Steering Committee of the SLE conference, and the Editorial Boards of the international journals SoSyM (Springer), COMLAN (Elsevier), and SCP (Elsevier). The proceedings of the workshop are published in the CEUR workshop proceedings volume 2245. The complexity of modern software-intensive systems, time-to-market pressures, and the need for high quality systems are current challenges faced by the software and systems development industry. To address these challenges, model-driven engineering (MDE) advocates the elevation of models into the center of the development process. Models provide abstractions over the system to be developed, while also providing enough detail to automate the development of implementation artifacts and perform early software analysis. In this context, executable models become more and more important. Executable models provide abstractions of a system’s behavior and constitute the basis for performing early analyses of that behavior. The ability to analyze a system’s behavior early in its development has the potential to turn executable models into important assets of a model-driven software development process. Despite the potential benefits of executable models, there are still many challenges to solve, such as the lack of maturity in the definition of and tooling for executable modeling languages, and the limited experience with executable modeling in much of the software and systems development industry. EXE 2018 will provide a forum for researchers and practitioners to discuss these challenges and propose potential solutions, as well as to assess and advance the state-of-the-art in this area. Research papers (up to 6 pages) presenting novel and innovative approaches in one of the topics of the workshop. We also strongly encourage the submission of comparative studies and benchmarks of existing approaches in one of the topics. Experience reports (up to 6 pages) presenting experiences and lessons learned in one of the topics of the workshop. Experience reports should discuss knowledge gained from an executable modeling project experience and identify key challenges encountered. Position papers (up to 3 pages) presenting new ideas or early research results in one of the topics of the workshop. 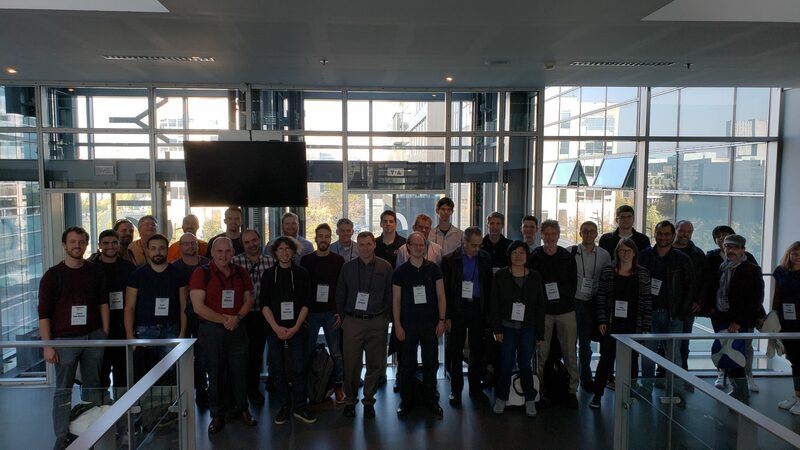 Tool demonstration papers (up to 3 pages) presenting novel tools or novel features of state-of-the-art tools related to executable modeling. Submissions of tool demonstration papers should consist of two parts. The first part (up to 3 pages) will be included in the proceedings and should describe the tool presented (a URL where the tool can be downloaded should be included). 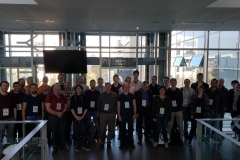 The second part (up to 2 pages) should explain how the tool demonstration will be carried out at the workshop, including examples and screenshots. All submissions have to follow the ACM sigconf formatting instructions. Submissions created with LaTeX are preferred, but using Word is allowed. Submit your paper electronically as PDF via EasyChair at https://easychair.org/conferences/?conf=exe2018. All submissions will be evaluated by at least three members of the program committee. Research papers, experience reports, and tool demonstration papers will be evaluated concerning novelty, correctness, significance, readability, and alignment with the workshop call. Position papers will be evaluated primarily concerning validity and ability to generate discussion (even controversy), as well as alignment with the workshop call. Furthermore, all submissions must be original work and must not have been previously published or being under review elsewhere. 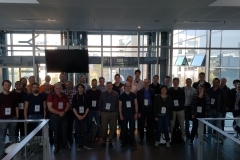 For each accepted paper, at least one of the authors must register for the workshop, participate fully in the workshop, and present the paper at the workshop. 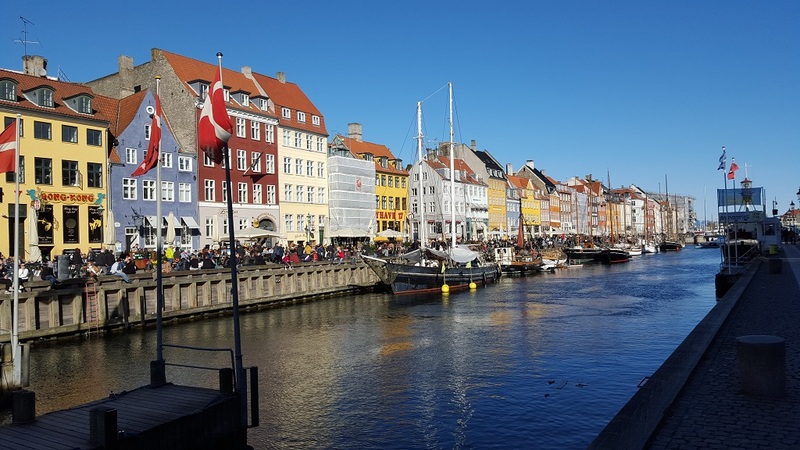 Accepted papers will be published as part of the workshop’s post-proceedings at CEUR workshop proceedings. 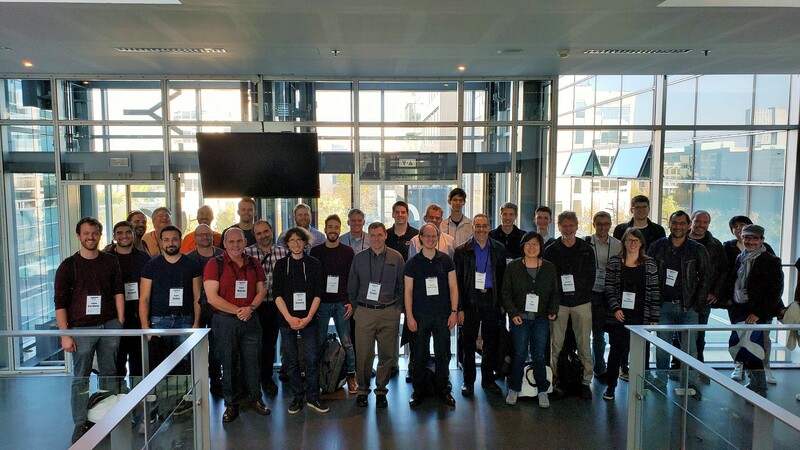 EXE 2018 is a full-day workshop held as part of MODELS 2018. We plan to have one keynote talk in the morning, followed by two sessions of presentations of the accepted papers. 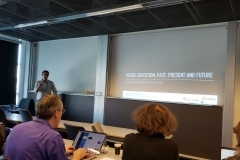 The last session of the day will be a discussion session, where challenges, questions, experiences, opinions, and requirements related to executable modeling will be discussed. The detailed program will be announced in August, shortly after the author notifications have been sent.